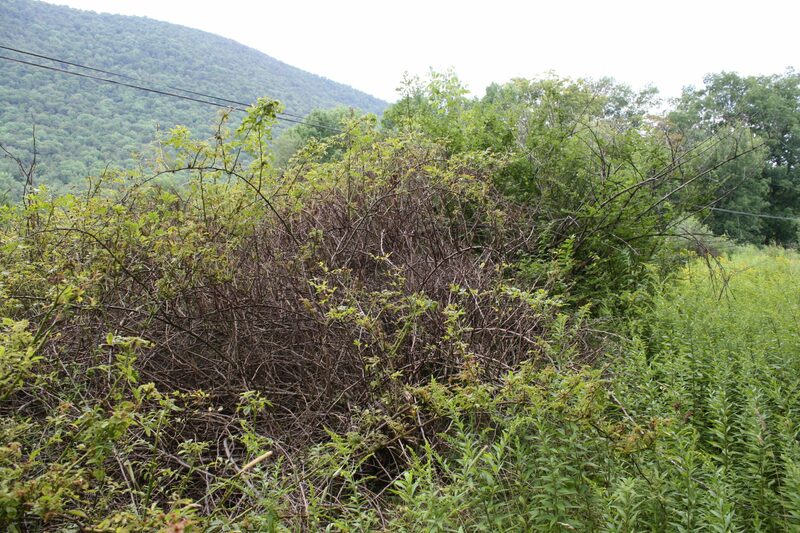 Invasive plant species in our Catskill forests can take over the land you may be managing for wildlife, timber, recreation, maple sugaring, or a variety of other purposes. We typically see multifloral rose, Japanese barberry, and European honeysuckle creating a nearly impenetrable landscape within some of our forests. Fruit production can be reduced, water flow and nutrient cycling can be disrupted, and even the composition of the soil can be changed if left untreated. Invasives don't wait - and neither should you! The CFA can help by reducing the spread and therefore reducing the impact these invasive plants can have on our native vegetation. We offer ultra low dose methods of application reducing the impacts to native vegetation, and reducing the risk of water or soil contamination. If you think you're seeing something that doesn't look quite right with your forest, or if you think that it may soon be overrun with an invasive species, we can help. The CFA Staff are NYS DEC Certified to apply the most cost-effective, oil-based chemical treatments to your forests. Our ultra-low volume methods mean we use less product per acre, translating into less risk, and less cost for you. Our treatments help ensure proper recovery and protection to your forests. Call us today at (845)-586-3054 to schedule. or click below to view our brochure!